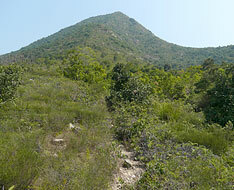 Pok To Yan and Por Kai Shan lie at the middle-north of Lantau Peak, south of Tung Chung at 529m and 482m height. 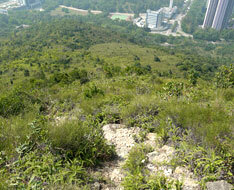 At the tops, they offer a full view over Tung Chung. 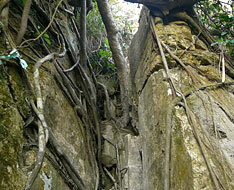 The paths climbing up and down Pok To Yan and Por Kai Shan are slightly rugged and partly quite steep, it is required clambering. 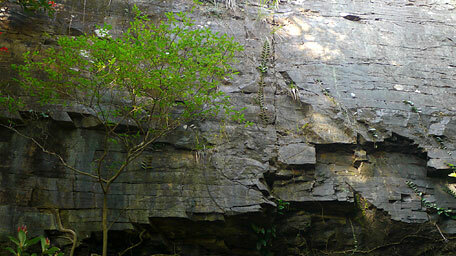 You could skip to go Heavenly Book Wall or to climb Por Kai Shan. 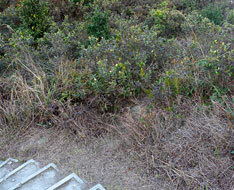 From Exit A of Tung Chung Railway Station, the trail starts by following Tat Tung Road to the right. 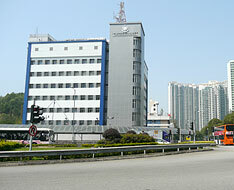 Head to the junction of Shun Tung Road, then turn left and trace it. Up to the junction of Yu Tung Road, cross Shun Tung Road by passing through the subway to the right opposite. Away from the subway parallel to Yu Tung Road beside Tung Chung Police Station, carefully cross Yu Tung Road to the left opposite hillside. 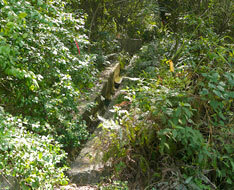 Afterward, head along the roadside to the left to near the road junction of Shun Tung Road, then follow the concrete catchwater on the right uphill (there are some ribbons at its entry as a mark). Up to the end of the catchwater, it joins the muddy path. Note: The uphill and downhill paths of Pok To Yan and Por Kai Shan are slightly rugged and partly quite steep, it is required clambering up and down. Recommand to put on gloves for that. 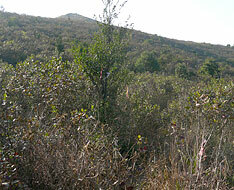 In addition, you need to refer the ribbons bound in the trees as guidance for the part of the trail. Be careful to look for the way through the thick woods at the initial section. Head the trail up, through the woods it joins the main uphill path that becomes obvious. 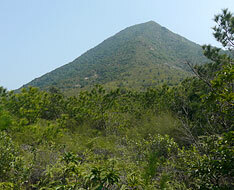 At that time, the summit of Pok To Yan rears up into the sky at your upper front. 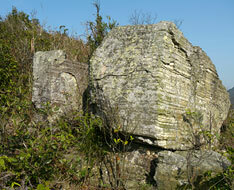 The trail then ascends along the ridge and gradually becomes steep. 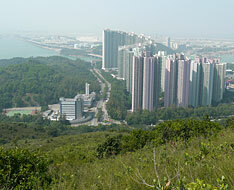 Looking back to the concrete jungle of Tung Chung, it always dusts. Let us recall and even look forward to, that the people in the past lived in the countryside over there with simple lifestyle and fresh air. Further up, the slope turns steep that requires clambering up. 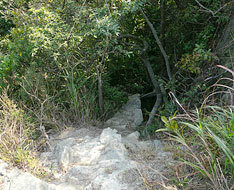 After the climb beyond some rocky groups, the path is gradually gentle and then leads up to the tail of the high ridge. The crest of Pok To Yan consists of the three hillsides undulated side by side like an inverted blade in wave shape. 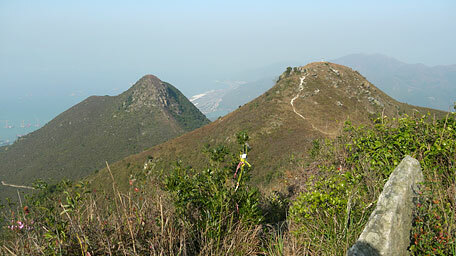 Among the neighboring higher hills of Sunset Peak and Lantau Peak, it never show itself weak. The trail contours along the undulating blade ahead. 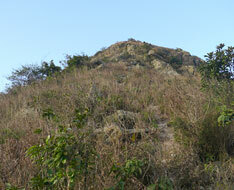 It slightly descends then climbs up to the middle peak which is the highest point of Pok To Yan. 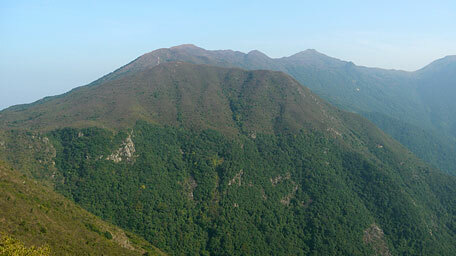 Overlook southeastward, it offers a spectacular view that the hill of Lin Fa Shan and the north adjacent hill of Sam Shan Toi roll and billow far into the distance. 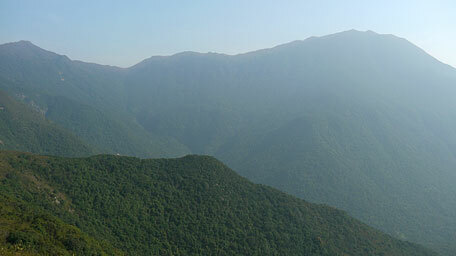 Look down on the right, the verdant woodland extends downward along the valley where Pak Lung Stream hides under the woods. Heavenly Book Wall is just at the origin of the stream. Head the trail, it soon comes to the third peak. 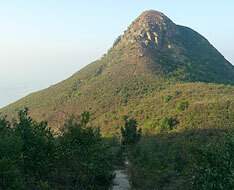 Toward the north, the summit of Por Kai Shan with mighty aura rears up. 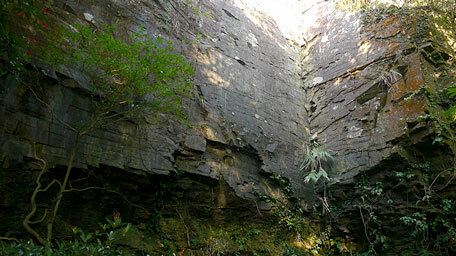 Afterward, it slowly descends then joins the main path that could lead to Lin Fa Shan. Along the main path to the right a short distance, there is an obscure side path on the right with some ribbons as a mark. Head it until the patch of small flatland at the end of the spur, then follow the left path down according to the ribbon mark. It soon leads down sharply through the rocky gap but there are some tree roots on the rock as handles. Descend the trail a bit on the left, it comes to the origin of Pak Lung Stream. At that time look up to the left, the two rocky walls are almost verical as a right angle with horizontal veins - Heavenly Book Wall, like an opened very big book as if it were made by God. 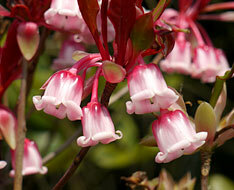 It is amazing and fantastic for the nature. 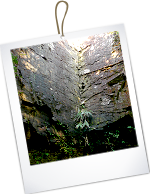 In addition, the people who is expert in trekking and clambering along hill stream could follow Pak Lung Stream down to Wong Lung Hang. Afterward, retrace your steps to the main path. Note: Descending to Heavenly Book Wall requires clambering down. 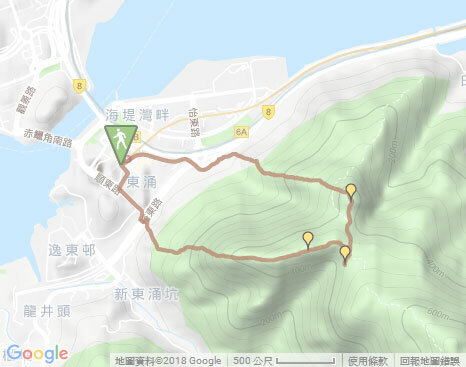 Alternative: After the downhill from Pok To Yan, if not to visit Heavenly Book Wall, you could continue to follow the main path to the left to Por Kai Shan or Tung Chung. Return to the main path, then follow it to the left. 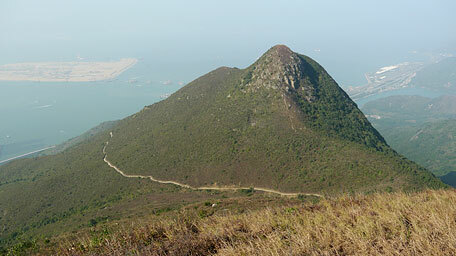 Not far ahead, the cliffy south slope of Por Kai Shan is towering ahead. When approach to the hillside in front of the south slope, there is an obscure path on the right in the shrubland without any mark. Carefully look for the path and follow it. 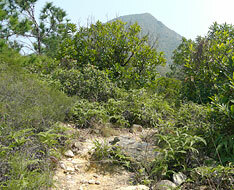 After cutting through the shrubland, it joins the obvious uphill path along the slope but is slightly steep. Up ahead beyond the rocky group, it winds up to the hilltop. 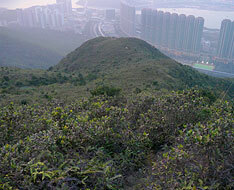 At the top, it offers a panoramic view over Tung Chung, the airport and eastward to Siu Ho Wan. 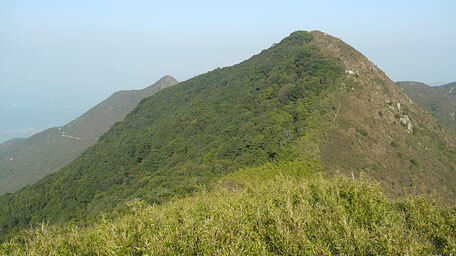 The west ridge of Por Kai Shan extends straight to Tung Chung. 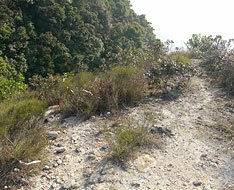 Afterward, follow the north path downhill, it descends the very steep slope at the beginning section. 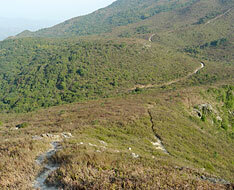 Down to the junction on the hillside, take the left path downhill along the west ridge toward Tung Chung. 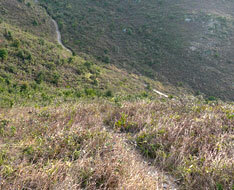 After crossing the horizontal main path that skirts the hillside, still follow the downhill path ahead. Along the ridge down, the trail then joins the concrete path. Descend the several flights of concrete steps, it then joins Olympic Path. Head the concrete path to the left to Cheung Tung Road, and finally follow Cheung Tung Road to the left until Tung Chung Railway Station. 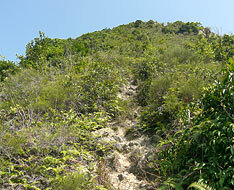 Note: The uphill and downhill paths are very steep that requires clambering. 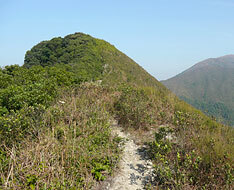 Alternative: If not to climb Por Kai Shan, you could continue on along the main trail ahead. 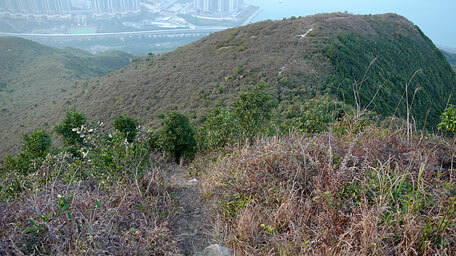 At the junction, follow the left downhill path to Tung Chung. Pok To Yan and Por Kai Shan are not famous, but their shapes are distinct and unique. The former is like an undulated blade, the latter's rocky slope seems to be a bun (chignon) of an old woman gradually turning white hair as the meaning of its chinese name. 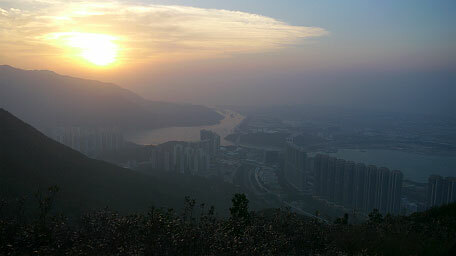 It is delightful for enjoying the full view over Tung Chung in the sunset at the hilltop. However, it is unfortunate that the land reclamation in progress on the sea beneath the hills becomes an large artificial island, sinking down the sun, turning dark the sky, more helpless.